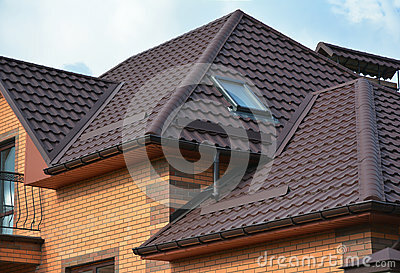 Roofing construction with attic skylights, rain gutter system and roof protection from snow. Hip and Valley roofing types. New roofing construction with attic skylights, rain gutter system, roof windows and roof protection from snow board, snow guard exterior. Modern House Construction. Hip and Valley roofing types.